Gung Hay Fat Choy (Happy Chinese New Year)! 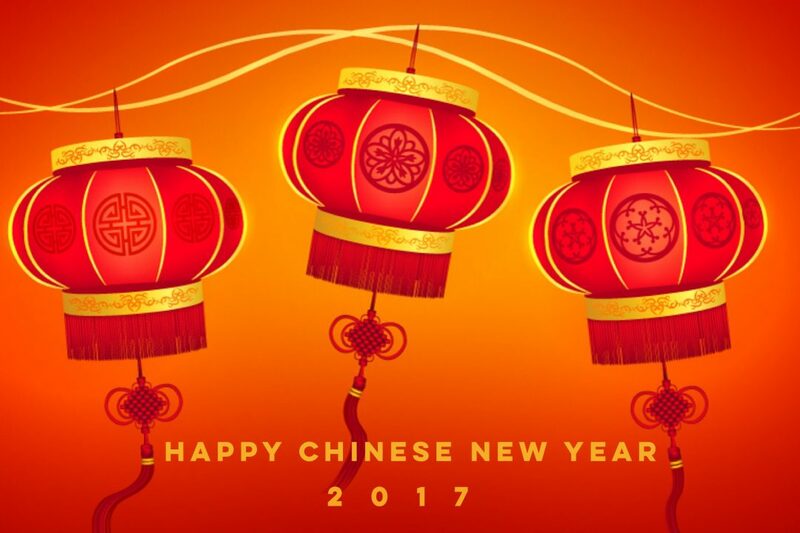 Chinese New Year, also known as the Lunar New Year, is on January 28th and is the year of the rooster! Determined by the Chinese Lunar calendar, Chinese New Year is on a new day every year. Each year is a different animal and this year is the year of the rooster. Roosters are considered to be courageous, resourceful, observant, confident, active, hardworking and talented. To see if you are a Rooster or curious to see what animal you are, check out the Chinese zodiac calendar. Celebrating the New Year is one of my family’s traditions and happens to be one of my favorite holidays. Officially the holiday lasts for seven days but my family only celebrates for a few of those days–Chinese New Year’s Eve, New Year’s Day and one other day. 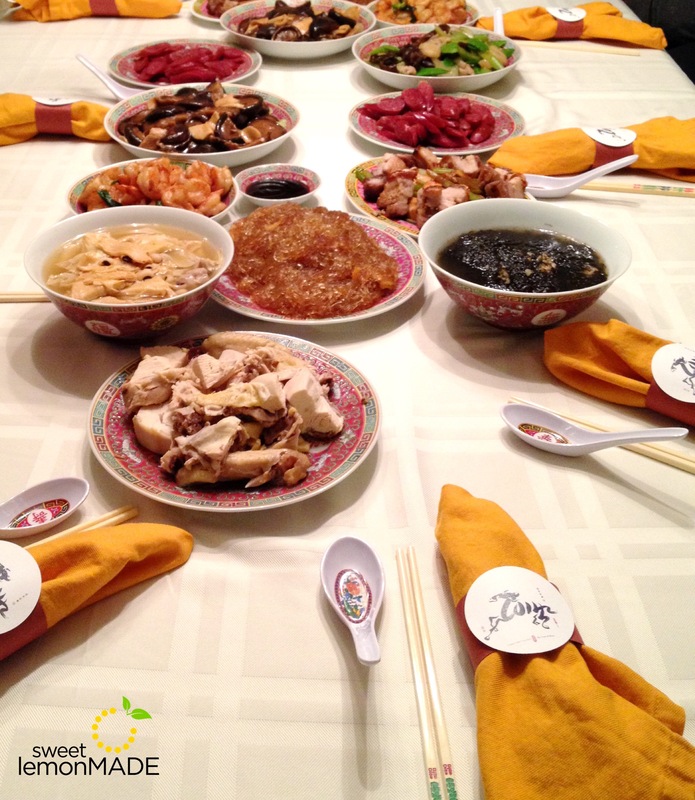 Our family tradition is to eat a new year’s dinner on Chinese New Year’s Eve, a traditional vegetarian breakfast on the day of Chinese New Year, and another dinner days later with our extended family. 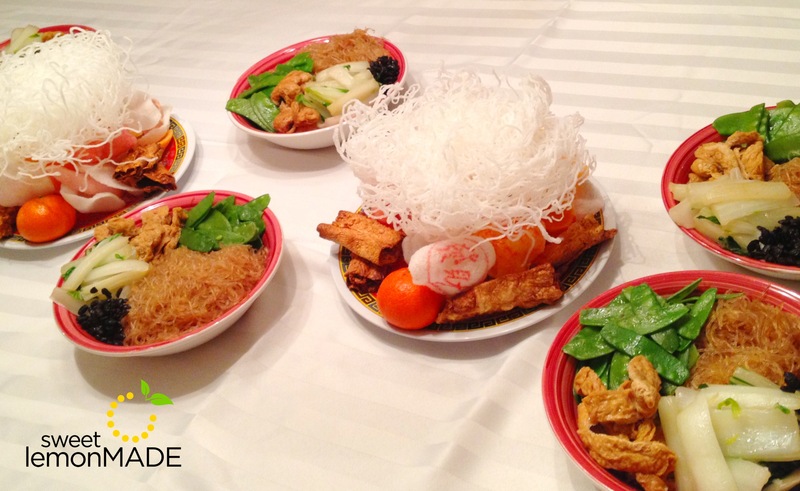 What I love the most about Chinese New Year is it brings all of our family (even our aunts, uncles, and cousins) together and we get to enjoy all of the delicious foods my parents (mostly my Mom) cooks for us! I love that we celebrate our family heritage. 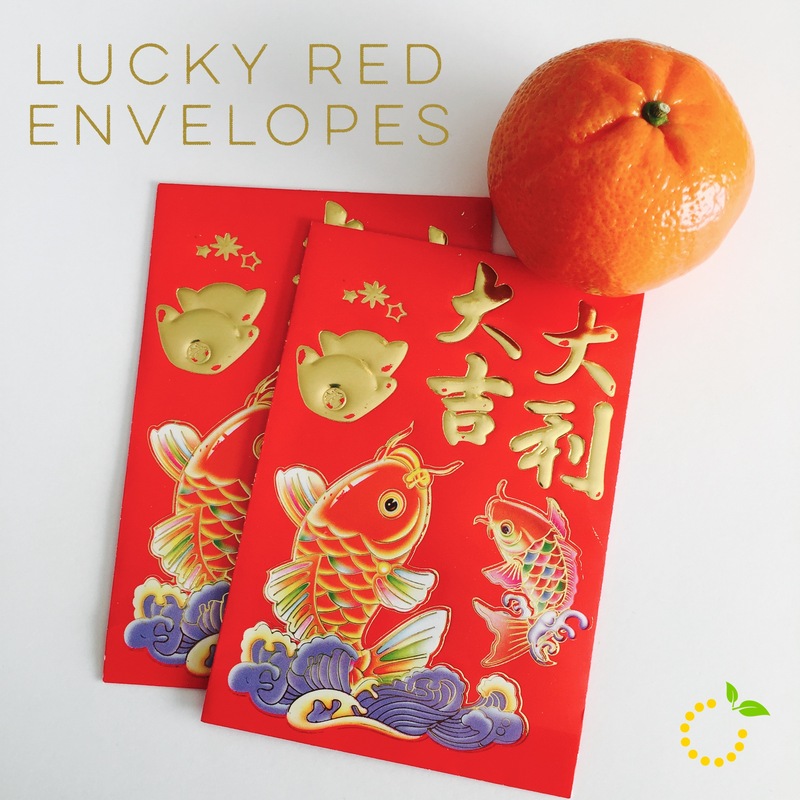 For Chinese New Year we also receive lucky red envelopes (also known as “lai see” in Cantonese) filled with money from our parents, grandparents and others. In Chinese culture the color red is the symbol of energy, happiness and good luck. So giving red envelopes symbolizes sending good wishes and luck. Even if you aren’t Chinese, you can still celebrate along with me and my family. 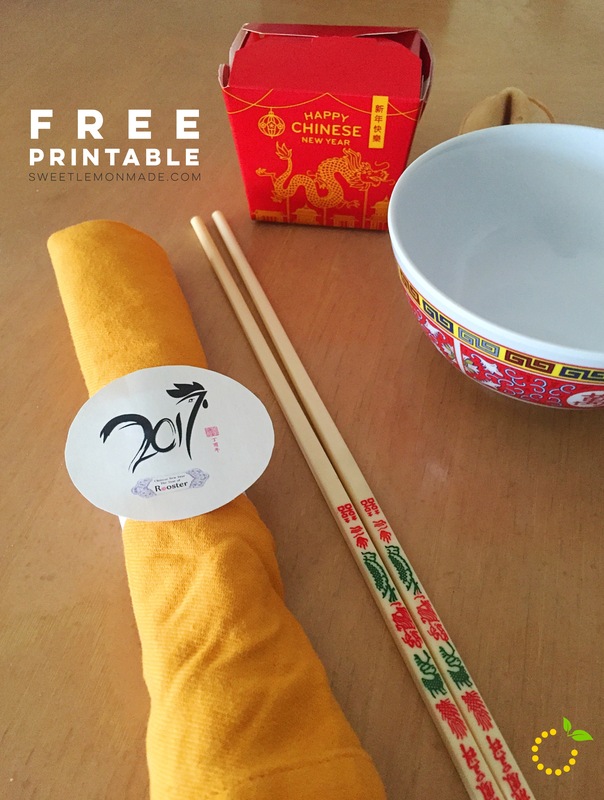 Have fun by printing out your own red envelopes and filling them up with money, coins, or candy. You can also DOWNLOAD the rooster printable pictured below to add to your decorations or to make napkin rings. Then all you have to do is order up or whip up some Chinese food and celebrate! It’s New Year’s Eve, the day we resolve to change all the things! The day we feel motivated for progress! Eat better! Lose weight! Sleep 8 hours! Drink water! Spend quality time with those we love! Organize our life! If you’re like us some years you are motivated and ready to conquer the world and other years you are overwhelmed before the clock even strikes midnight. 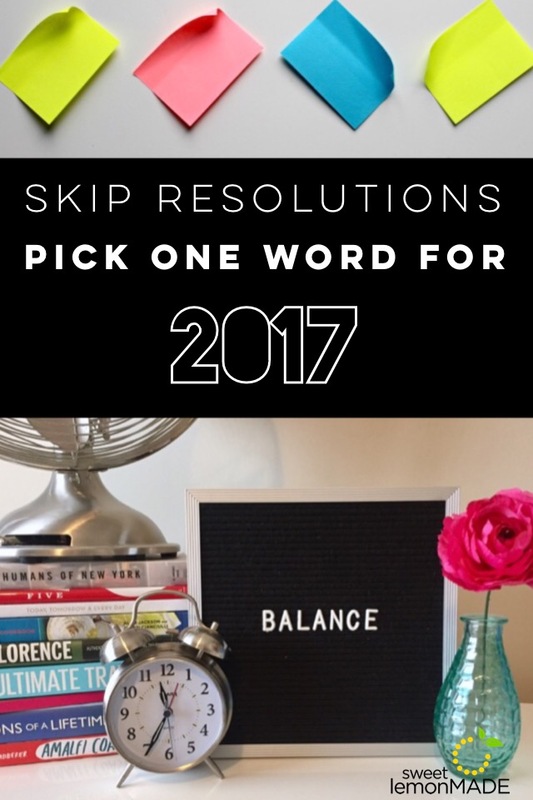 It was on one of those overwhelmed New Year’s Eves that my friend, Angie, told me about having “a word for the year” instead of a list of overwhelming resolutions. The idea behind choosing just one word is to focus on an attribute rather than task. 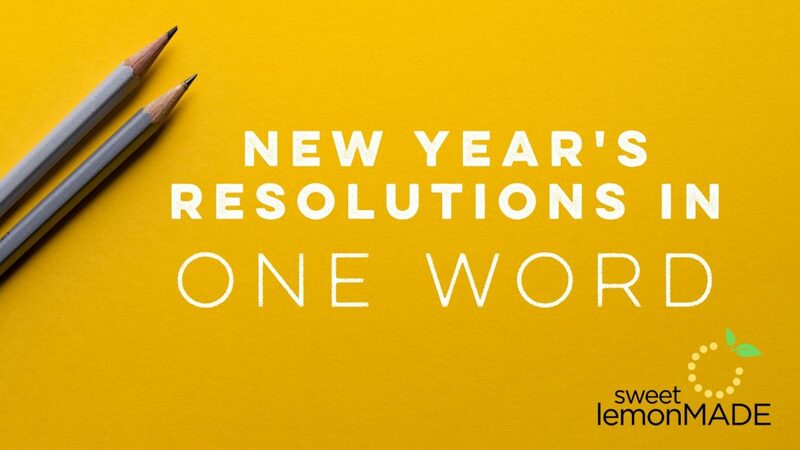 Let me explain a little more…Think about your ideal resolution list, what would it include? Now dig a little deeper. Why haven’t you been able to be as consistent and successful with these tasks as you have wanted? What is keeping you from accomplishing these goals? You will soon find the answers to those questions are exactly where you will find your inspiration for your “word of the year”. For example, if you want to eat healthy and exercise, but you fail every time because you always cave and find yourself eating chocolate and Diet Coke (us too!) maybe your word for the year could be “self-control”. Or perhaps you just never buy healthy food and are too busy for the gym, then maybe “plan” or “prepare” could be your word for the year. Are you getting the drift here? Hello, my name is Danelle, and I am an over-committer, over-planner, and over-indulger. I sleep more nights in a hotel than I do at my house, live off of Delta Biscoff cookies, and am always forgetting something (usually my charger). Despite all of that work travel, I still want to have a life, so I stay up late or wake up early all in the name of social interaction. Please tell me I’m not the only one that thrives in chaos and wears my “busyness” with pride. I know, I know, there’s a better way, or so the organized people tell me. I just have to plan better, prepare more, have boundaries, say “no”, practice self-control, learn to sacrifice, say what I feel, respect myself more, respect other people more, sleep more, eat less, meditate, practice self-compassion, let things go, yada…yada…yada…the list goes on. But seriously, like where do you even start with all of that? AGH! I definitely need an intervention. Like big time. So when New Year’s rolled around I knew this was my chance. I’ve done the “word of the year” thing before and it was awesome. The hardest part for me is actually picking just one word. How do you pick one word out of all of that mumbo jumbo above??? There’s literally no way. 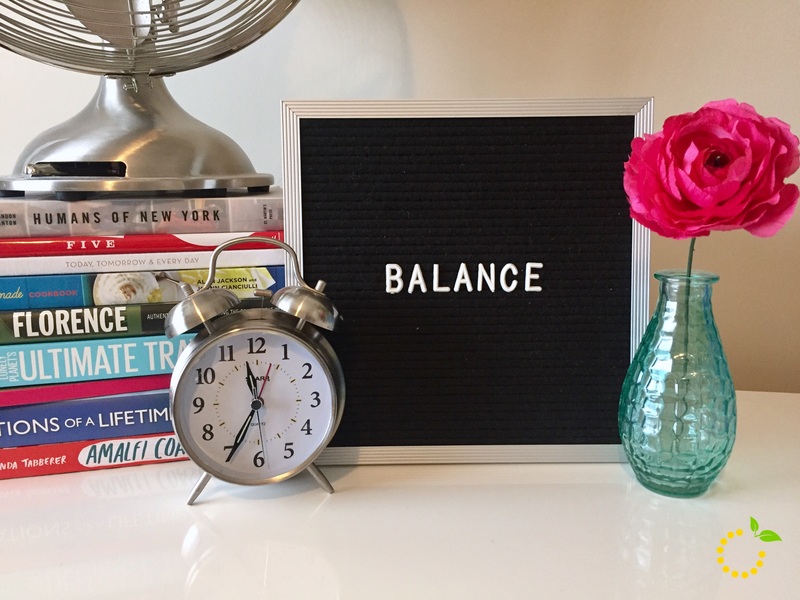 But as I started to dig a little deeper, I realized that perhaps there is one word that might help—BALANCE. Yuck. I already don’t like it—which is precisely why I should pick it. Ugh, I hate it when you know you should do something, but you really, really don’t want to. This is definitely one of those. Please bless this this change only hurts a little. Here’s to 2017! I’m not the most optomistic person on the planet, in fact, I’m very aware of my sometimes negative attitude. It’s something I’m not proud of but it’s a hard habit to break. I’ve noticed my negativity has really taken a toll on me over the past year in all aspects of my life. Negativity has also played a role in my health and brought me more stress over the past year. When thinking of a word for 2017, I couldn’t think of anything better than positivity. I’ve decided it’s time to break the negative pattern and change my mindset for the new year. I know it won’t be easy and it won’t happen overnight, but by being mindful of my thoughts and words, I think it’s something I can work towards. One way to help me work towards this goal is to have constant reminders of being positive for myself throughout the day. 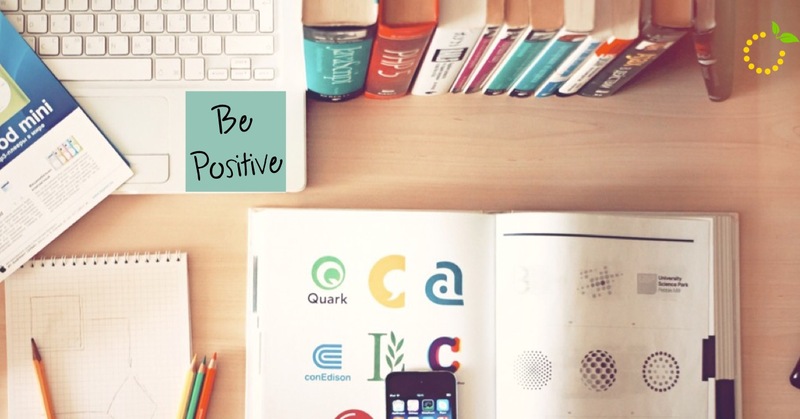 This includes having a special message to myself as my screen saver and my bathroom mirror, sticky notes with reminders to stay positive in my workspace and my car and even help from my friends and family to nudge me when a negative thought or word comes out of my mouth. Well, Danelle was pressuring me to come up with a word for the year and I thought about choosing “commitment”, but then I realized that is too harsh of a word. I can’t see that word sitting on my mirror all year! It will just make me mad. I tossed around “focus” and “believe”…maybe if I focus and believe in myself I can be more committed without having to actually use that as my word. As usual, procrastination got the best of me and I showed up to our meeting without choosing a word. 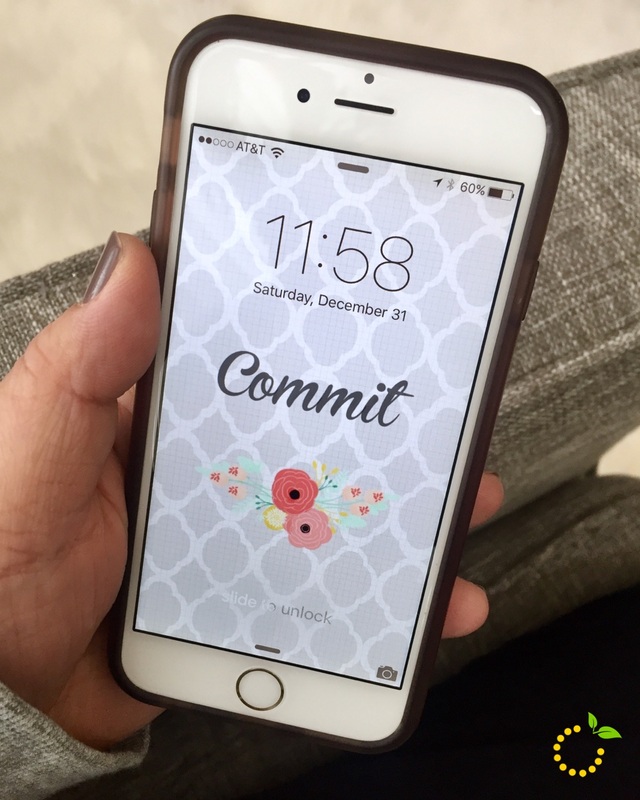 I gave the girls my list and they unanimously agreed that commitment should be my word…I don’t know, they said it had something to do with the visible reaction I had just talking about commitment. Haha. So, there you have it, I will be facing my commitment demons for 2017. I kind of feel like I didn’t choose “commit”, it chose me. Through the process of talking with my friends about what our “one word for the year” was going to be, I was indecisive and tossed around the words “focus”, “believe”, “prepare”, and hesitantly, the word “commit”. They asked me the whys about each, and as I was thinking about the different words, I felt like I wanted to choose all of them and by choosing commit I could tackle the entire list. However, “commit” just felt so harsh! So final. So…committed. As I thought about what I really wanted to change this year I decided it is to improve my awful habit of procrastination. Like most people, I work best with a deadline. I do pretty well under pressure and think to myself, “It’s fine to wait to the last minute. I got this.” However, when it comes down to crunch time and I fail, I always beat myself up for waiting until the last minute! My procrastination lies have failed me many a time. As I thought about the “whys” I started to think that preparation and focus were my issues, but then I realized that my biggest problem was actually follow through. As I thought about the word “commit” and what it means, it stands for determination and accountability and those things are what’s keeping me from following through. So, by choosing the word “commit” I am getting serious about things and will be more determined and accountable in 2017! And hopefully my procrastination problem will improve along the way! Here’s to commitment (I’m already dreading it)! So follow along this year as we embrace the ups and downs of change together. Pick your word, put it on your mirror, and don’t look back! We got this. 2017, watch out! 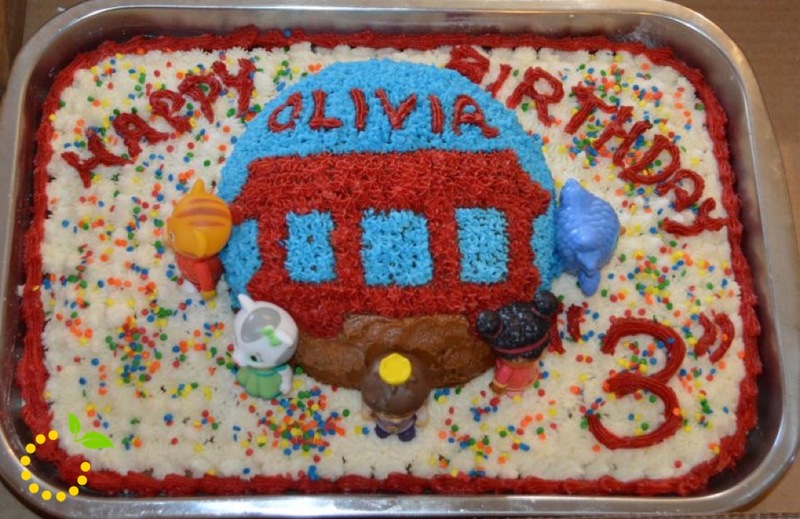 My little one is obsessed with Daniel Tiger, the children’s show on PBS, so I wasn’t surprised when she said she wanted a Daniel Tiger birthday party. Unfortunately, while party shopping, I learned there are not a lot of Daniel Tiger party items in stores or online. I had to get a little creative and come up with a few ideas myself. 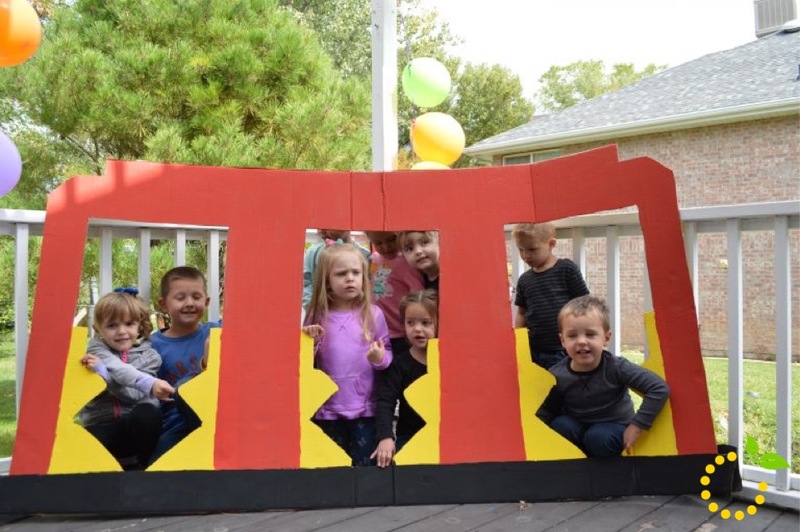 Take a look below to see how I pulled off a Daniel Tiger worthy party! While scrolling through Pinterest, I saw the cutest invitations that looked like a trolley ticket from the show. I was so excited that I could buy the download and make these invitations in no time. Wrong. The link didn’t work and I couldn’t find this style of invitation anywhere. Of course it was stuck in my head so I had to have these invitations. I pulled out my computer and used some good old fashioned photoshop and made my own. They aren’t perfect but I think they turned out pretty cute! 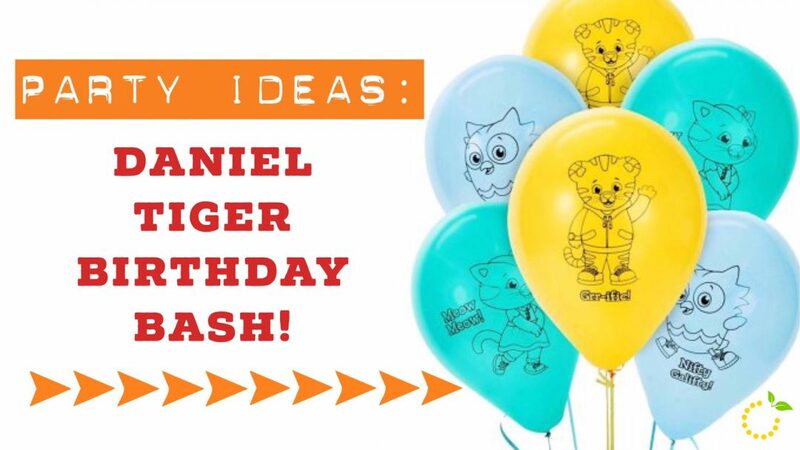 Since I couldn’t find decorations in the store, I decided to go to the PBS website and found a page dedicated to throwing a Daniel Tiger birthday party. They have some really cute DIY ideas and lots of printables. I used some of the printablse and put them around the house and on the front door. I also used balloons (lots and lots of balloons) to make the house look more festive. 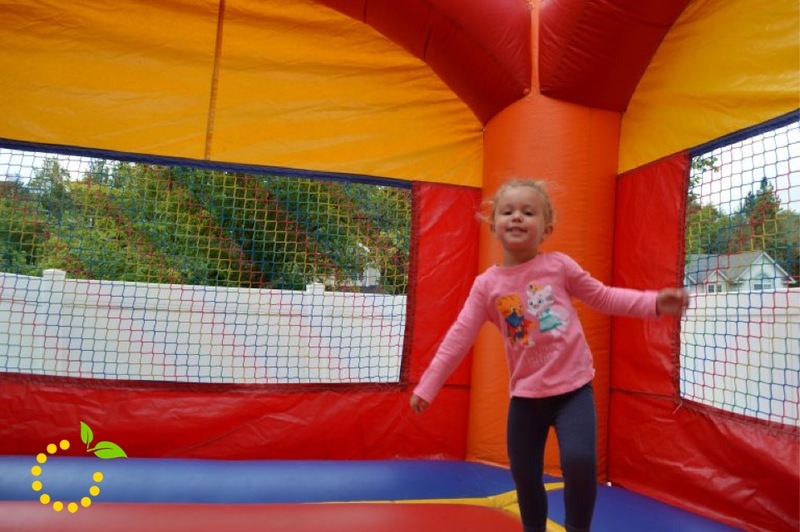 Since the kids attending the party were different ages, ranging from one to seven, I decided the best way to keep everyone entertained and happy was to have a bounce house. I’ve never rented one before so I started looking online to see what options were available. Most places will deliver and set-up, but after looking at some bids, it started to become a little pricey. I decided to go with Supersonic in Bountiful and they were great to work with. We picked up the bounce house in the morning and brought it back that evening, giving Olivia more time to bounce to her hearts content after the party ended. By doing it ourselves, we saved around $100. I think we can count that as a win! 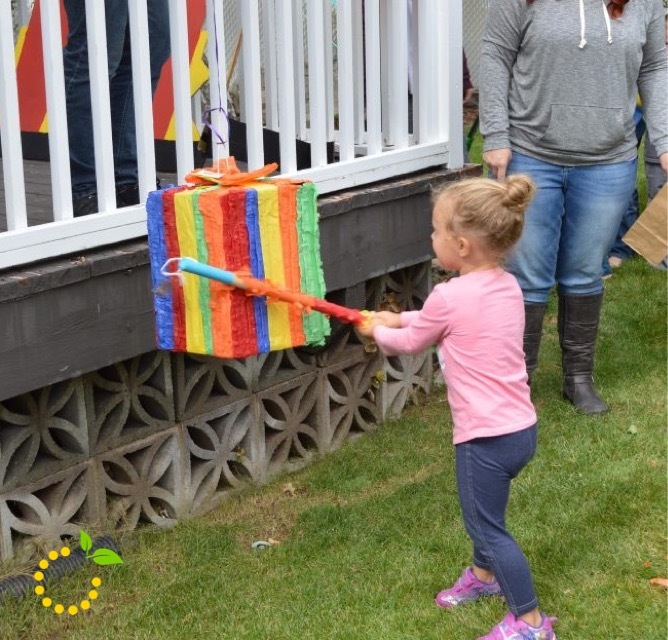 Another fun way to include kids of all ages is to have a piñata. Everyone got a turn since we let the youngest kids go first and worked our way up to the oldest. I made sure to have paper bags for all of the kids to collect their loot and everyone ended up with some extra sugar to take home! Since I couldn’t find a Daniel Tiger themed Piñata, I decided to go with a colorful one that looked like a present. It was perfect. One way to incorporate more of Danielle Tiger into the party, I decided to build a trolley to use as a photo prop. I saw a couple ideas online and just happened to have an oversized cardboard box on hand. Using a knife and some paint, my husband and I were able to create our masterpiece. 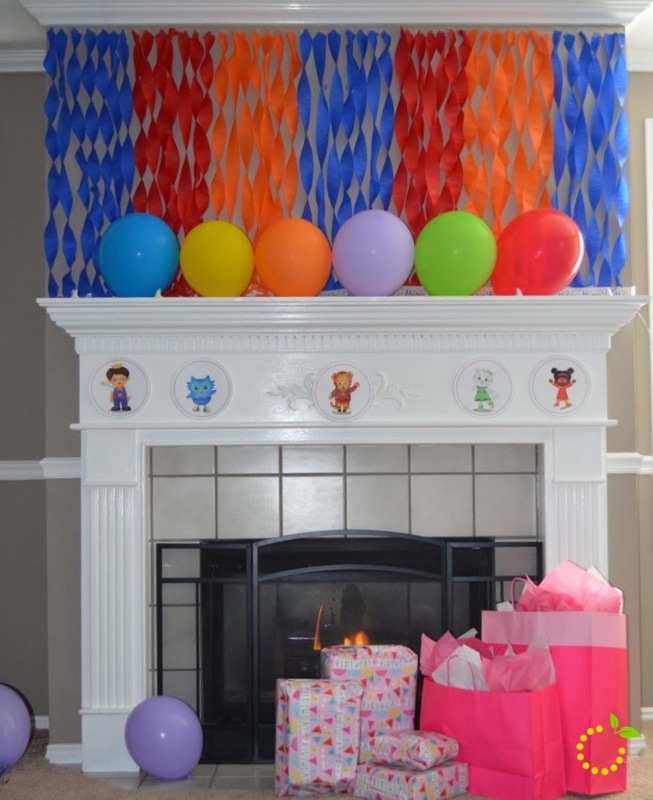 It was a perfect way to get the kids to take some pictures and looked super cute with the rest of the party decorations. My mom loves to make birthday cakes and does a really good job! She used to make all of mine growing up and I loved them. 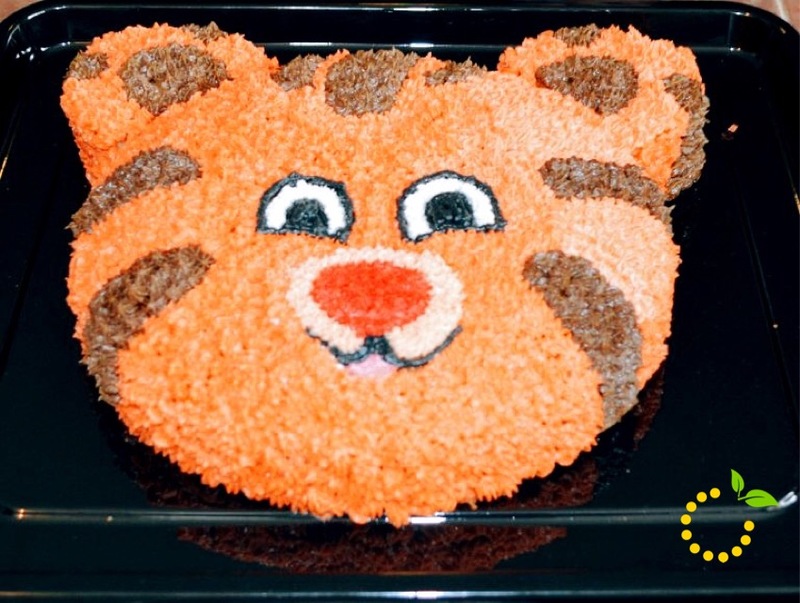 The one thing Olivia wanted more than anything at her party was a Danielle Tiger cake. Since we couldn’t find a Danielle Tiger cake pan, she made a couple round cakes and started decorating. She did such a good job and Olivia loved it. 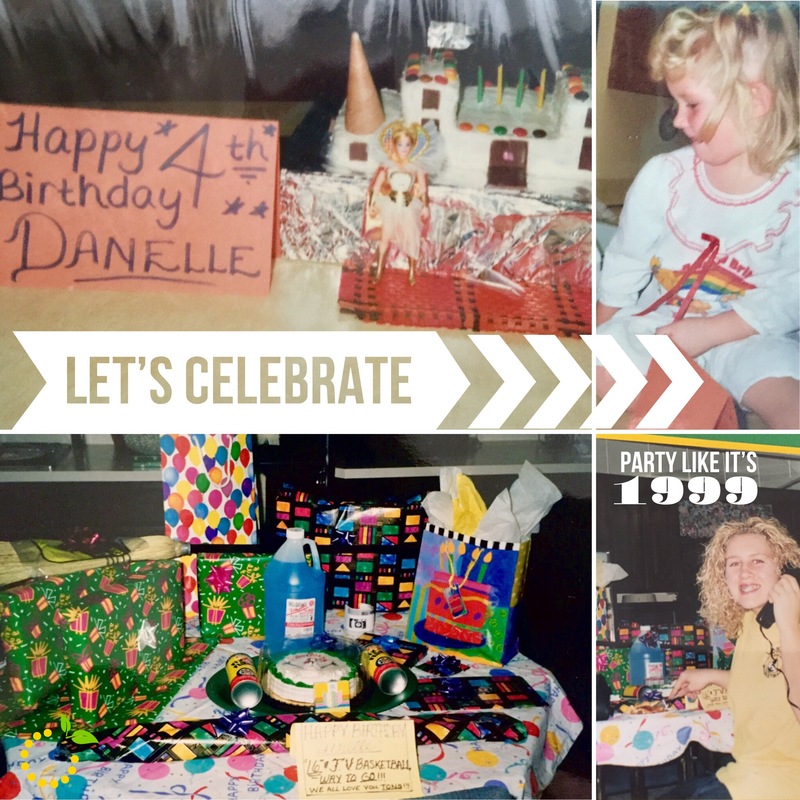 For her family party, my mom made another cake and incorporated Danielle Tiger figurines that stood around a trolley. It was really clever. My mom is known for making chocolate suckers, I don’t think I’ve had a birthday party without them. I found these adorable Daniel Tiger sucker molds online for under $5. 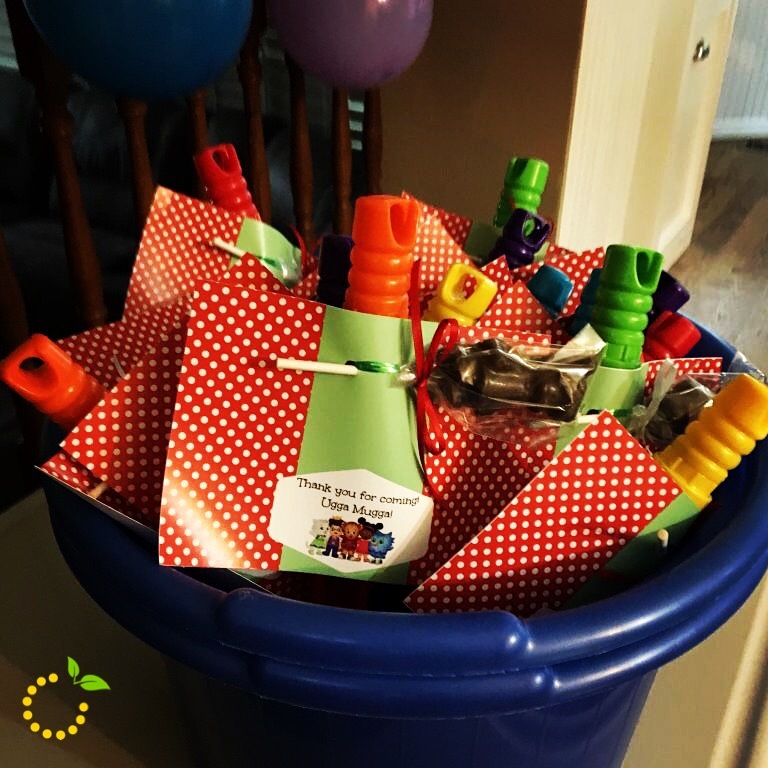 I printed out a cute card from the PBS website and attached everything to colorful bubble sticks. 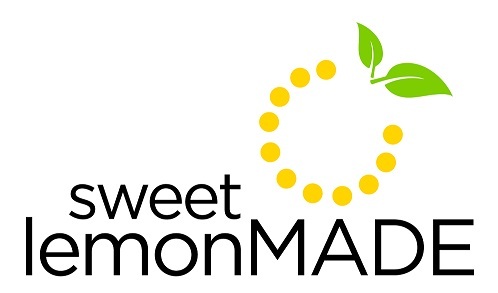 Over here at Sweet LemonMADE this week has been full of celebrating—both Emily and Megan had birthdays this week! I love celebrating birthdays! Growing up my mom always made birthdays a big deal. 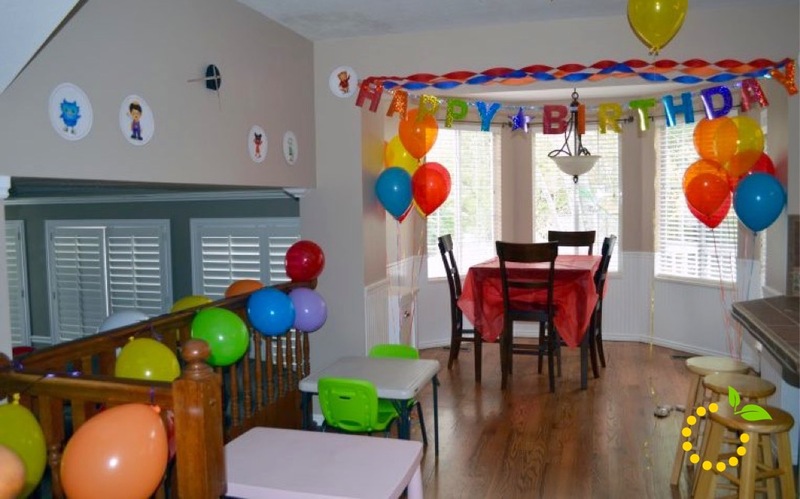 On the morning of your birthday as you entered the kitchen/family room the kitchen table was always covered with birthday paraphernalia—birthday tablecloth, birthday cake, birthday presents, and sometimes even blown up pictures of you for an added celebratory touch. My mom would stay up until the wee hours of the morning to ensure this spread was perfectly placed and the cake was perfectly frosted. And although this fantastic tradition was known to us all, my mom would wait until we went to bed before she started creating birthday magic. I’m kind a glad she did. I loved walking out into a celebratory explosion, each year with a slightly different cake and décor. Naturally, I have become very fond of celebrating birthdays and as the years go on, I love putting on a celebration for those I love even more. As a result I have a clear Rubbermaid packed to the brim with birthday supplies. I call it my birthday box. In here I keep on hand at all times, decorations, candles, crepe paper, banners, birthday plates, etc. Everything you need to pull together an impromptu b-day celebration at the drop of a hat. What? What? Party people in the house! 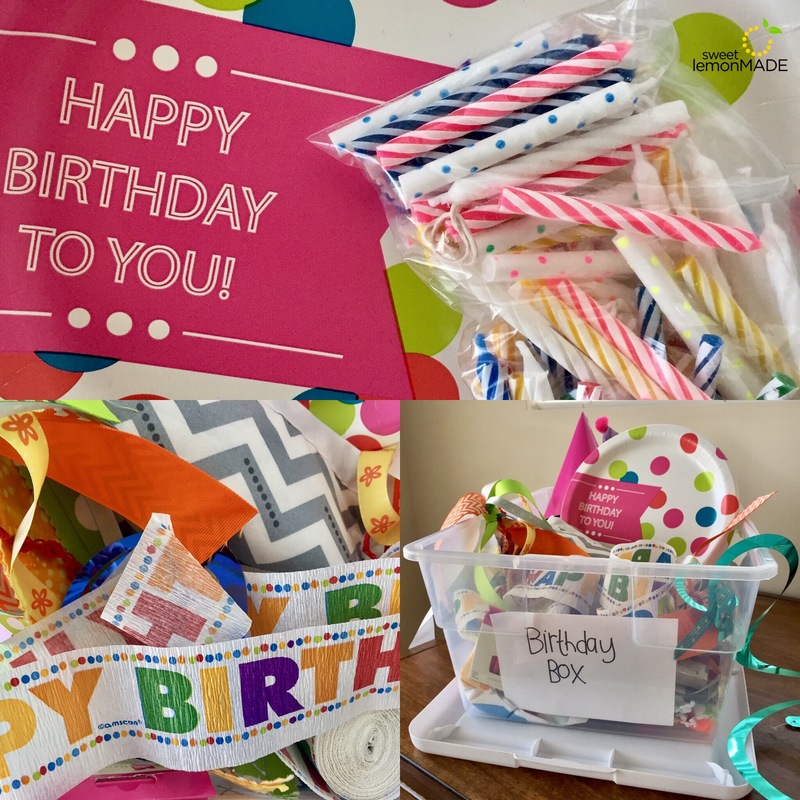 This birthday box and my weird obsession for buying fabric (even though I only barely know how to sew and only sew maybe one project a year) came in handy as my friend, Shelley, and I decorated for Emily’s birthday in the wee hours of the morning before Em got up for work. 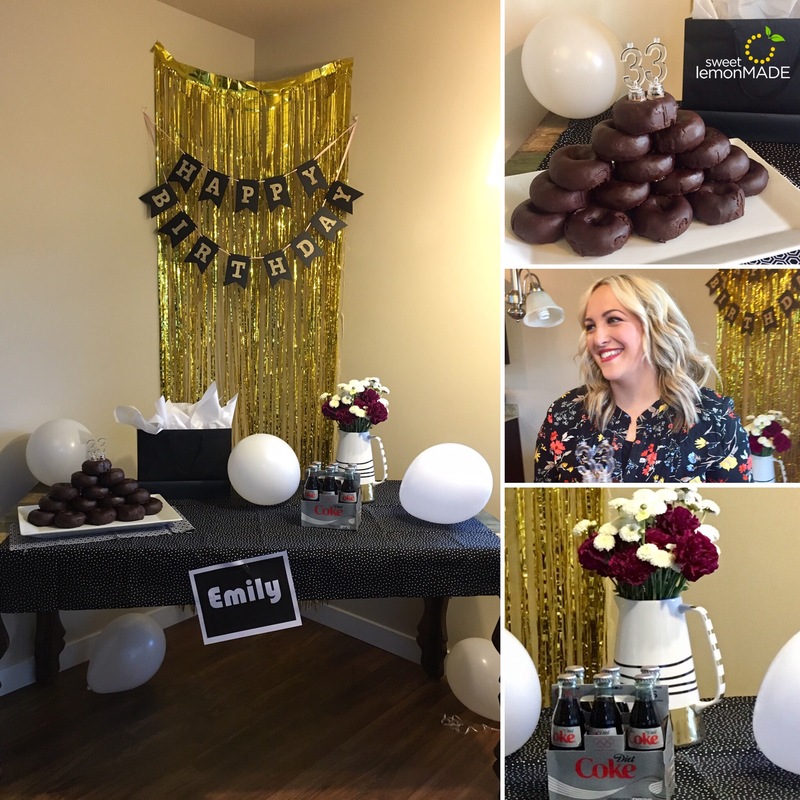 Em is a classy gal that loves diet Coke and all things gold, so it was easy to know what to surprise her with. And you know what I found out? Shelley has a birthday box too. No wonder we are friends. 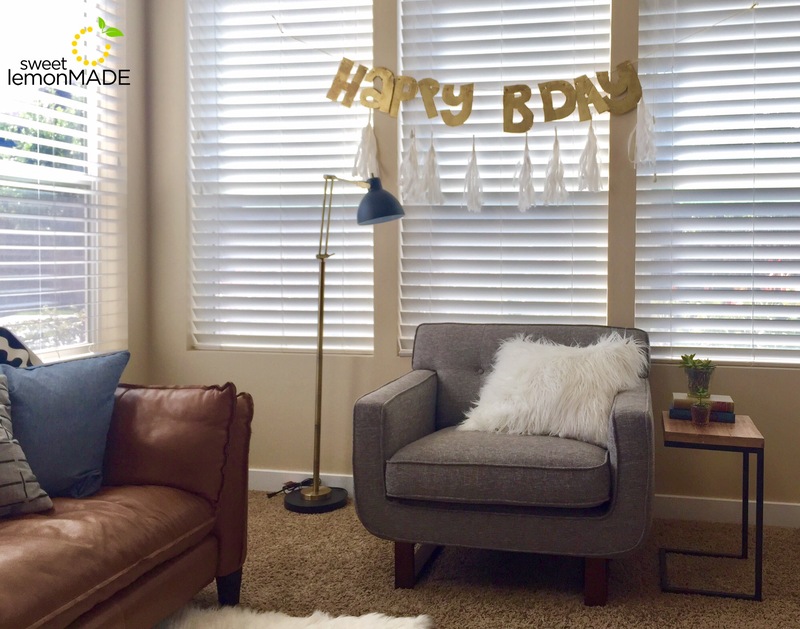 Seeing how we were working from TWO birthday boxes we had multiple banners, so we hung this little guy in the living room! 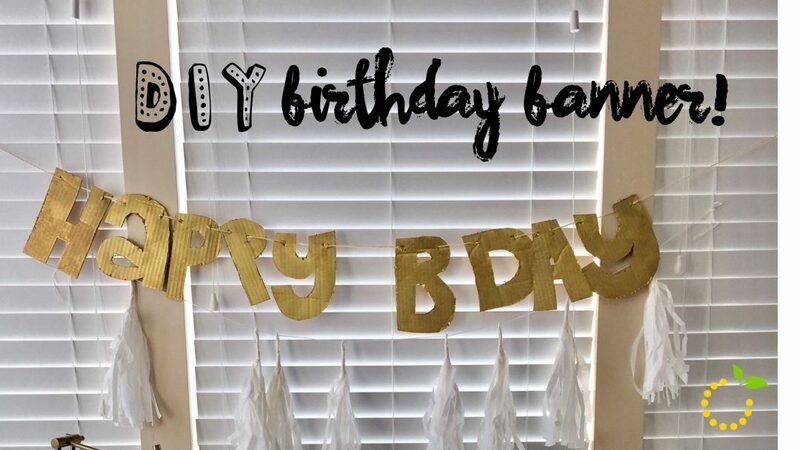 This homemade cardboard banner is simple, but one of my favorite b-day decorations. 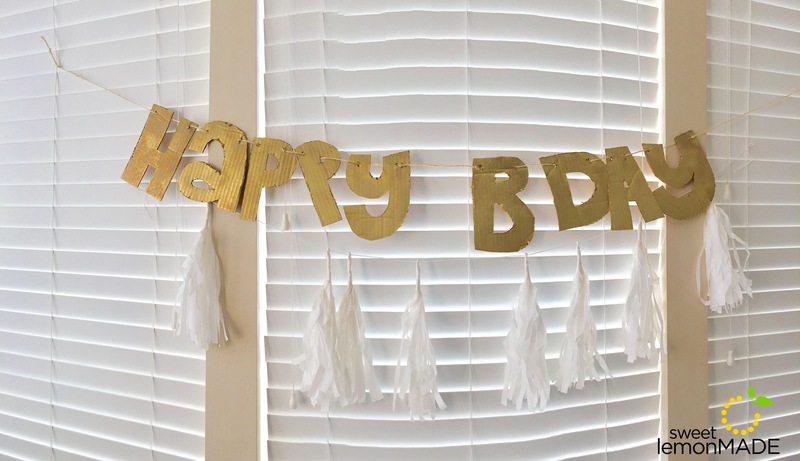 All you need is a cardboard box, some twine, and paint and you can create your very own birthday banner. Find a piece(s) of cardboard to fit the size of letters you want to make and wipe with a dry towel to remove any particles or dust. 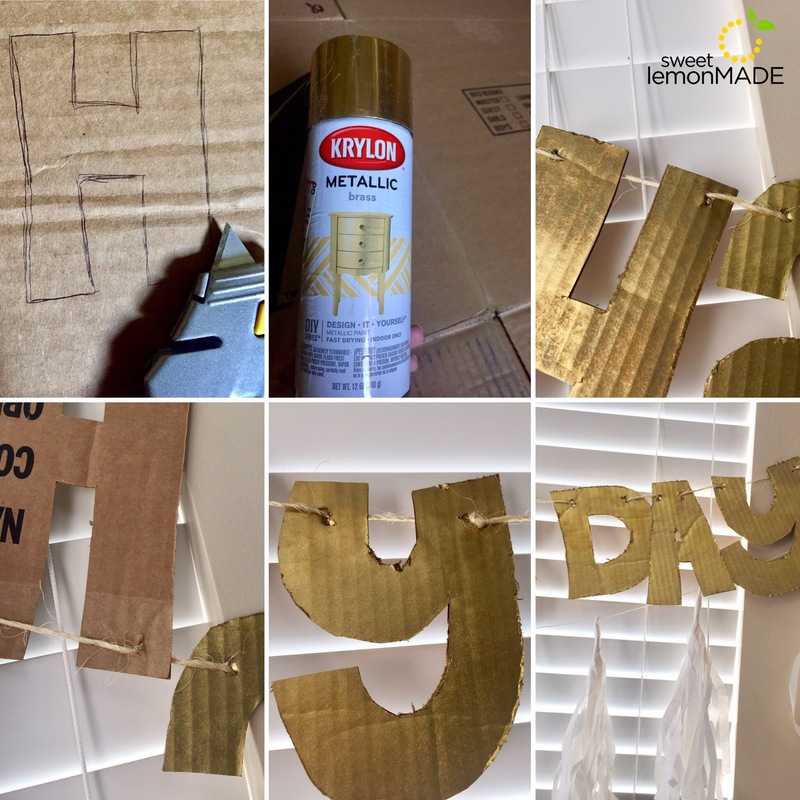 Using a pen or pencil draw block letters (or use stencil, or trace letters printed from your computer if your junior high block letter skills have faded) on the cardboard. Make sure to leave about an inch between letters so you can cut them out easily without injuring a close by letter. Once letters are cut, determine how you want letters to hang on twine and poke two holes near the top of the letter for the twine to thread through. I used a combination of a box cutter and a ball point pen to stab my holes. Next, paint each of the letters and allow to dry completely. Use two coats of paint to ensure full coverage and vibrant color. Finally, to complete the banner take the full-length piece of twine and thread each letter through the string. At the beginning and ending of each word tie a not in the twine so the letters don’t’ slide and the words stay distinct. Once all the letters are threaded on the twine, loop the ends (so it can be hung on push pin or nail) and leave at least 6-12 inches of twine on the ends (helpful if you need to tie the banner sometimes rather than hook it on push pins). Ta Dah! HBD to all your people! For this week’s edition of “What We Love Wednesday” we pulled together some of our favorite sweet summer jams to pump up your pool party or make folding laundry a little more exciting. 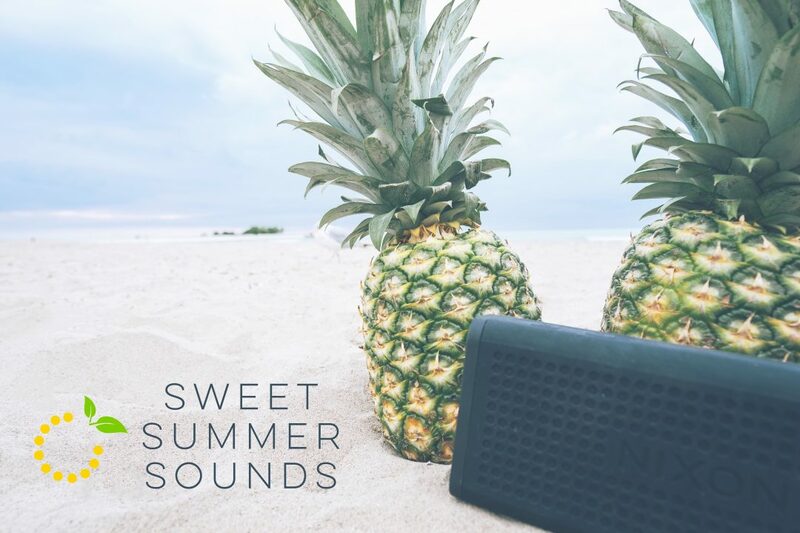 If your iTunes is need of a refresher check our “Sweet Summer Sounds” Spotify playlist and our personal “top 5” picks below. Guaranteed to make you shake your booty. I mean, it is summer after all, let’s party!